New Price! Certified. Forest Mist Metallic 2019 Honda Ridgeline RTL-E AWD 6-Speed Automatic 3.5L V6 SOHC i-VTEC 24V **Honda CERTIFIED, **ONE-OWNER, **CLEAN CARFAX.. NO ACCIDENTS, **NAVIGATION, **POWER SUNROOF/MOONROOF, **POWER HEATED LEATHER SEATING.Price Reduced!!! At Pearson Honda we constantly adjust our pricing based on similar vehicles in the market. Our commitment is to provide the very best pre-owned automobiles to our customers at the fairest price. This vehicle has just been reduced. Making an already great value even better. New Price! Sterling Gray Metallic 2013 Ford F-150 FX4 4WD 6-Speed Automatic Electronic EcoBoost 3.5L V6 GTDi DOHC 24V Twin Turbocharged **ONE-OWNER, **CLEAN CARFAX.. NO ACCIDENTS, **NAVIGATION, **REAR BACK-UP CAMERA, **POWER SUNROOF/MOONROOF, ABS brakes, Alloy wheels, Compass, Electronic Stability Control, Illuminated entry, Low tire pressure warning, Remote keyless entry, Traction control.Price Reduced!!! At Pearson Honda we constantly adjust our pricing based on similar vehicles in the market. Our commitment is to provide the very best pre-owned automobiles to our customers at the fairest price. This vehicle has just been reduced. Making an already great value even better. Odometer is 24435 miles below market average!Awards:* 2013 KBB.com Brand Image AwardsFor over 40 years people have trusted the Pearson name for all their automotive sales and service needs. Now the Pearson dealerships have put all that experience into the newest, easiest way to buy quality, pre-owned cars, trucks and SUVs online. Huge selection and easy to find the vehicle of your dreams. 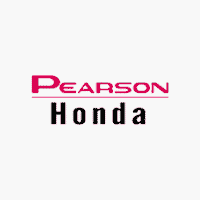 All vehicles are available at Pearson Honda and include the Pearson Promise. A 3 month / 3,000 mile comprehensive and 12 month / 12,000 mile powertrain warranty. We invite you to join the family of satisfied Pearson customers.